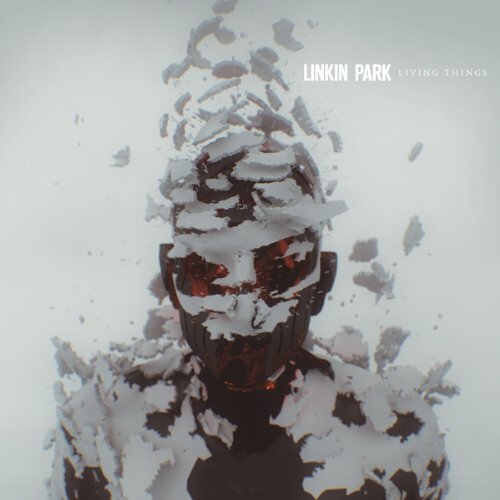 The rollercoaster continues when Linkin Park releases Living Things on June 26, and they've already announced plans to tour with Incubus to promote the new record. The 12-track set was produced by veteran producer Rick Rubin and follows A Thousand Suns, released in 2010. Co-frontman Chester Bennington said the new album finds the veteran rock band feeling comfortable with their place as one of the oft-maligned nü-metal bands of the late '90s and what he feels is the progression they've made as group since. "This album is a really great representation of where we're at right now as a band," he said. "We're kind of really comfortable with our early nü-metal days, and we're really comfortable with where we're at in our more contemporary version of ourselves; so this is a good representation of that comfort level with our own identity as a band." You can pre-order the new record through the band's web site and get the first single from the record "Burn It Down" to tide you over until the June release date. In addition, the band will be hitting the road with Incubus for a tour that will kick off in August, part of the HondaCivic tour. Mutemouth will also be part of that tour. If you're curious about the new record -- and I'm sure someone out there is -- we've got a promotional clip you can check out below. I didn't like more than the smallest handful of songs from the nü-metal ouevre but where most of those bands have fallen by the wayside, Linkin Park continues. I suppose longevity means/says something. I can tell you what their longevity means to me but maybe instead I'll just give you that promo clip and the tracklisting. Just remember not to disembark until the ride has come to a complete stop.